Be on the Lookout! 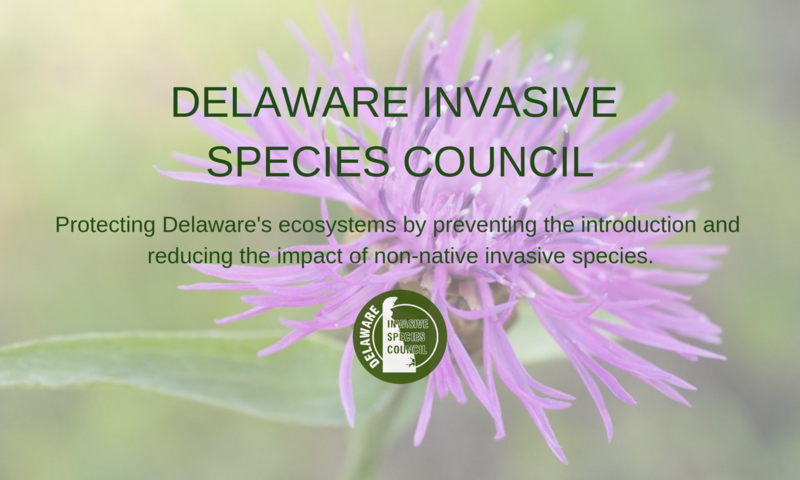 – Delaware Invasive Species Council, Inc.
Wavyleaf basketgrass was confirmed in Delaware in White Clay Creek State Park along the Bryan’s Field Trail last week and the colony was promptly removed. 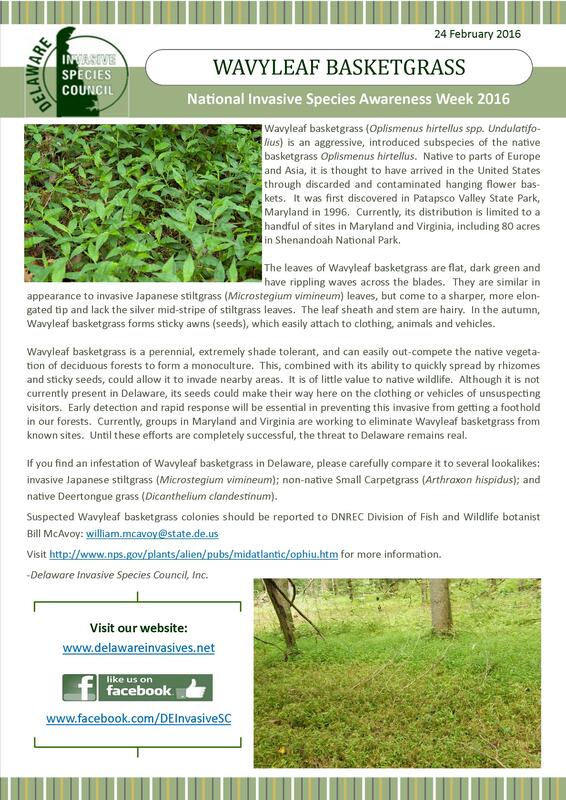 Stay alert and let us know if you find any wavyleaf basketgrass in the state! 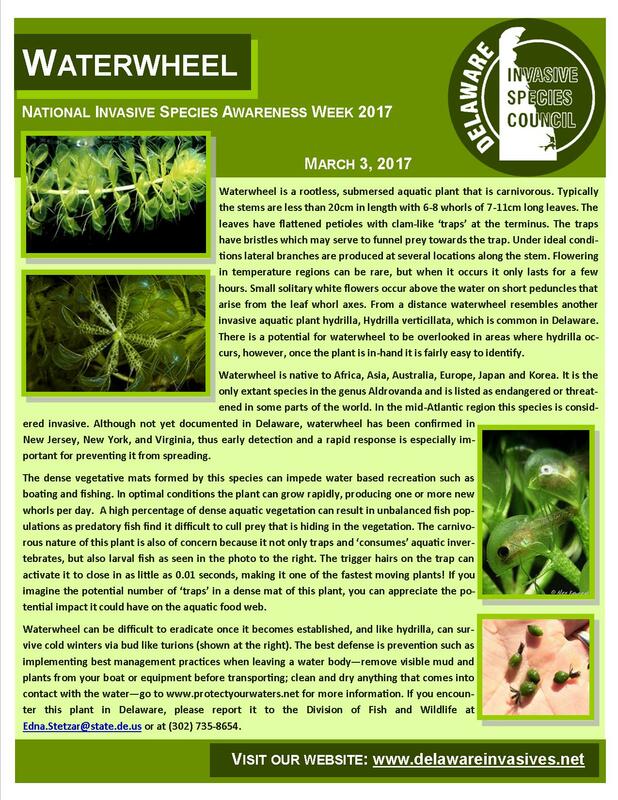 Check out our 2016 NISAW fact sheet for more information! 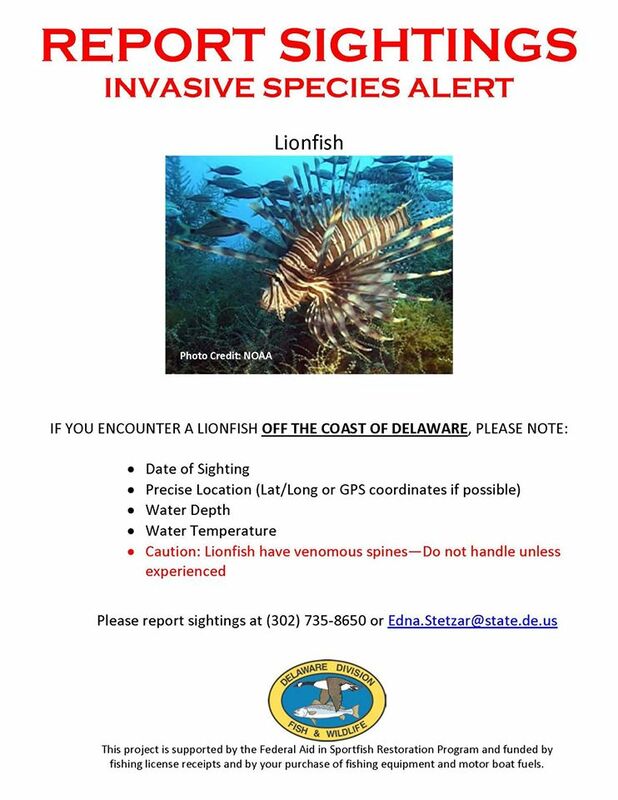 Lionfish Alert for Delaware! Please spread the word and report sightings of this voracious invasive that could be in our waters! The Delaware Division of Fish and Wildlife is interested in documenting the occurrence of lionfish (Pterois volitans and P. miles) off the coast of Delaware. Lionfish are native to the western Pacific Ocean, but have become well established along the east coast of the U.S. from Florida to North Carolina. Warm eddies generated by the Gulf Stream may…transport this species up the coast as they have been documented as far north as Massachusetts. Although Lionfish are unlikely to survive winter off the coast of Delaware, they have been found in water temperatures as low as 48F. Outside of their native habitat they are considered an invasive species capable of eating large quantities of prey and outcompeting native fish on reef communities. This species inhabits natural and artificial reefs from shallow waters to depths well over the limit of human divers. We would appreciate it if you would help us spread the word about this potentially invasive fish. We are asking those who encounter lionfish off the coast of Delaware to note the date, specific location (i.e. name of wreck, miles offshore, etc. ), latitude/longitude if available, depth, and water temperature (if available). Because they are quite distinctive looking most divers/anglers can identify them correctly, but if photos can be taken to confirm the sighting that would be helpful as well. Lionfish have potent venom in their dorsal fin spines that can inflict a painful sting. Those who are inexperienced at handling this species should not attempt to collect them! 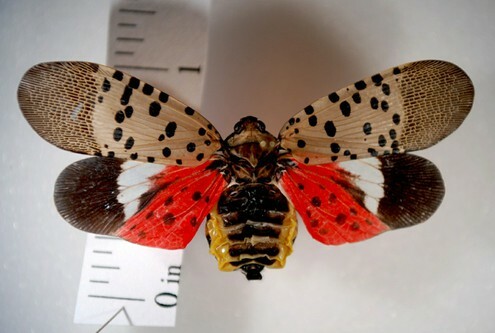 Spotted Lanternfly has recently been found in Berks County, PA, not too far from Delaware. Please carefully look over the photos and description (via PA Department of Agriculture link below) and report any sightings to Delaware Department of Agriculture.